Most artists, when working on a masterpiece, aim to give their audience a certain experience; whether it’s to amaze them, inspire them or simply get them thinking. One artist has taken that idea one step further and has aimed to get her audience eating, by creating an experience for the sense of taste. 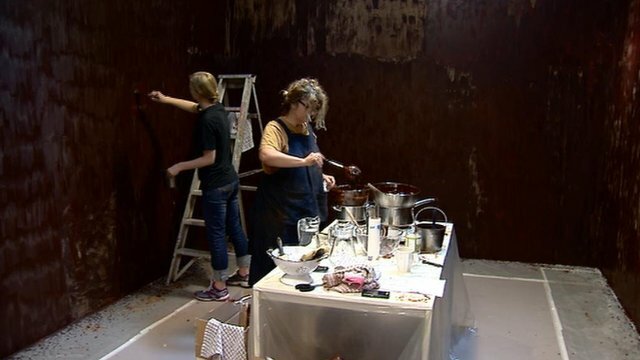 Anya Gallaccio from Paisley, Scotland, has created an entire room made out of chocolate…and yes, you can lick the walls. 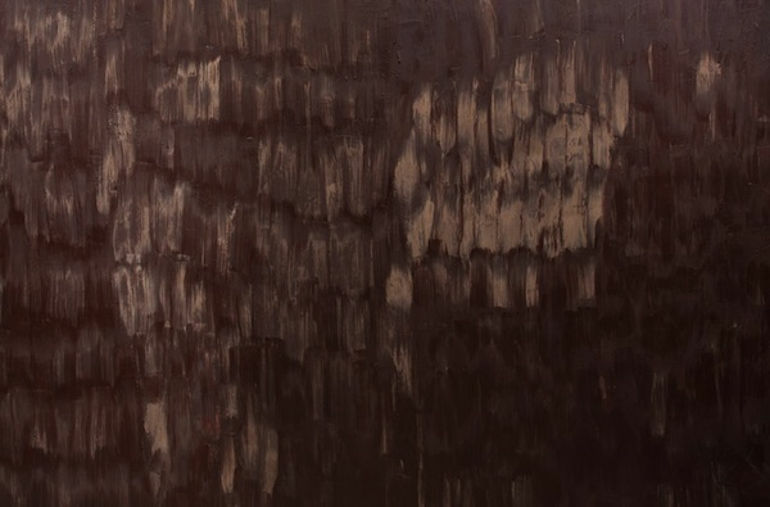 Many of her art pieces include the use of organic materials, with fruit, vegetables and flowers all featuring in her work. Usually, these materials undergo a change during the course their being exhibited. This particular installation is a part of the Jupiter Artland Festival, near Edinburgh, which is a display of interesting an unique sculptures that encourage people to experience art in a different way. The organisers of the event seek to find artists like Gallaccio who challenge the boundaries of normal, conventional art – particularly sculpture – as they feel art should be ‘touched…climbed on…even tasted’. 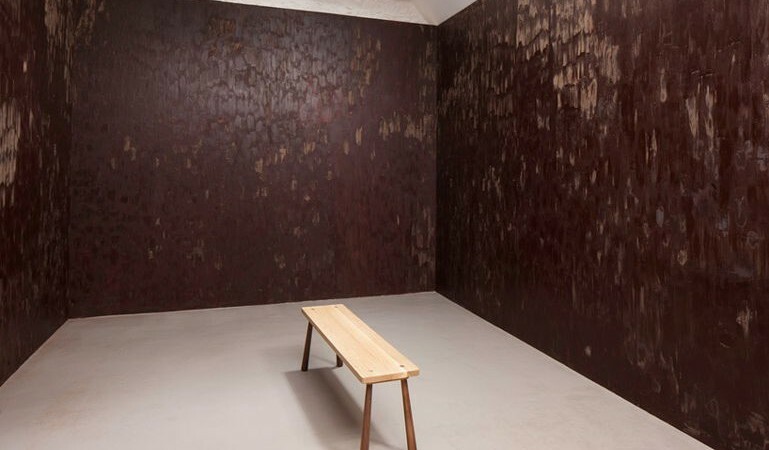 The piece entitled ‘Stroke’ consists of 40 kg of dark, Swiss chocolate which Gallaccio coated the walls with. 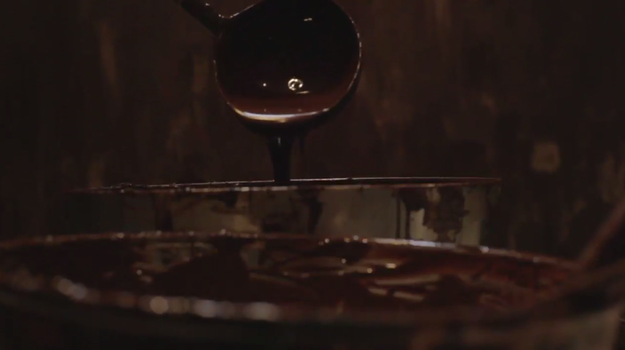 When speaking to the BBC about her inspiration for the room, she stated that ‘the idea of a chocolate room is very fantastic…in a certain, very specific Willy Wonka way [and] For me, the piece is more about desire and anticipation than really being in the room’. ‘Stroke’ was not only born to delight the most dedicated chocoholics, but also to evoke emotion and trigger memories, as it ‘get’s up your nose’, Gallaccio says. 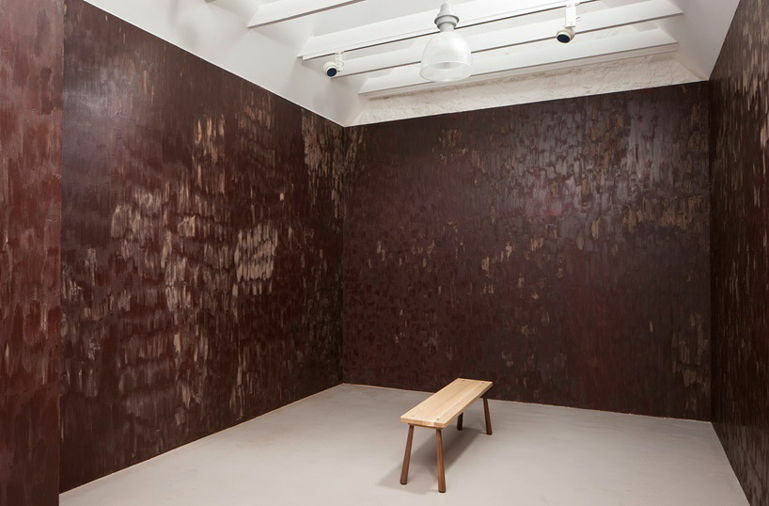 Visitors are welcome – and even encouraged – to touch, to smell and even taste the walls. Though it’s most likely worth getting in early, the installation will be on display until late July, as the chocolate slowly decays.